I remember very distinctly the day I knew that Justin Timberlake would take over the world. It's a wonderful, inspiring anecdote, and apparently, it was also a prediction: I guess I'm clairvoyant and omniscient, because Timberlake was just inducted into the Memphis Music Hall of Fame. And, really, after years poured over his albums and countless dollars spent on posters to adorn my room, I'm feeling quite justified *wink* in my smugness right now in Timberlake's success. Despite his humble appreciation of this honor, we fans know that it is by no accident that Timberlake made it to a Hall of Fame by the age of 34. Timberlake has been producing superior music from the start, and it's only fitting that he gets his due recognition. 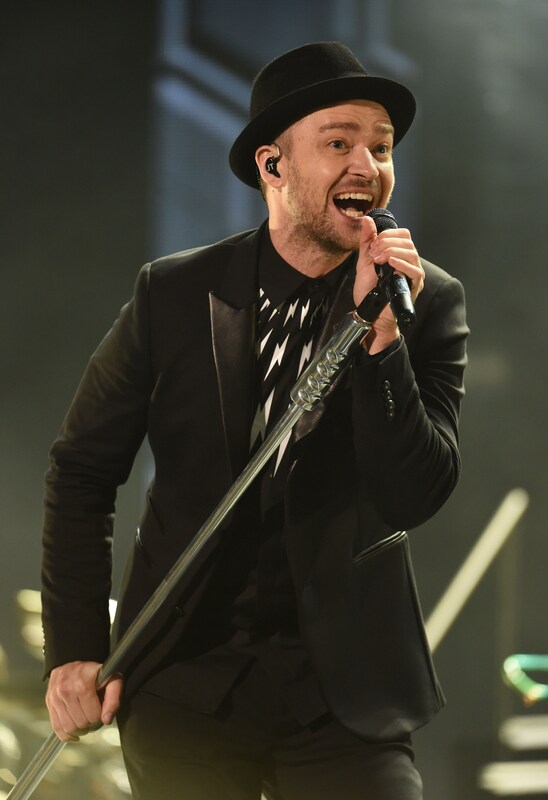 Here are 12 Justin Timberlake songs that are most definitely Hall of Fame worthy. The best earworm I ever did hear. Good luck getting this out of your head. Good luck even wanting to. Technically, this is an NSYNC song. Technically. 3. "Cry Me A River"
This song was the start of everything, wasn't it? The reason JT has instant hits? His songs are as fun as they are good. 5. "LoveStoned/I Think She Knows Interlude"
Not just this song, this whole album, man. It's gold. 6. "What Goes Around...Comes Around"
Because revenge songs are everyone's guilty pleasures, especially when they're as expertly executed as this one. Sentimental JT is my favorite JT, I think. It is impossible not to groove when this song is on. 10. "Summer Love/Set The Mood Prelude"
Why? Because it's the carefree, adolescent summer anthem, that's why. 11. "Like I Love You"
Cannot deny baby JT's fierceness. This song has most definitely stood the test of time. This version is a medley, but if you want to make an old song new again, this is the best way possible. Give it a listen. Considering that it was hard to not simply put Timberlake's entire discography on this list just proves that he was wholly deserving of his Hall of Fame honor. And hopefully his Memphis Music Hall of Fame induction will just be one of many, if his stellar career thus far is any indication.